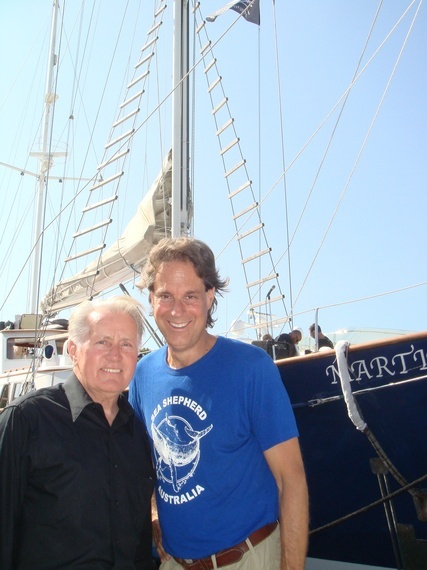 Sea Shepherd Conservation Society christened its latest research vessel Saturday morning in Marina Del Rey, Calif., naming it after award-winning actor and ocean activist Martin Sheen. Sheen told me that, "It's a huge honor and privilege to have a research ship named after me. The biggest risk and danger to the world today are plastics in our oceans. The RV Martin Sheen will conduct scientific research on ocean plastics to protect our oceans and all its sea life."